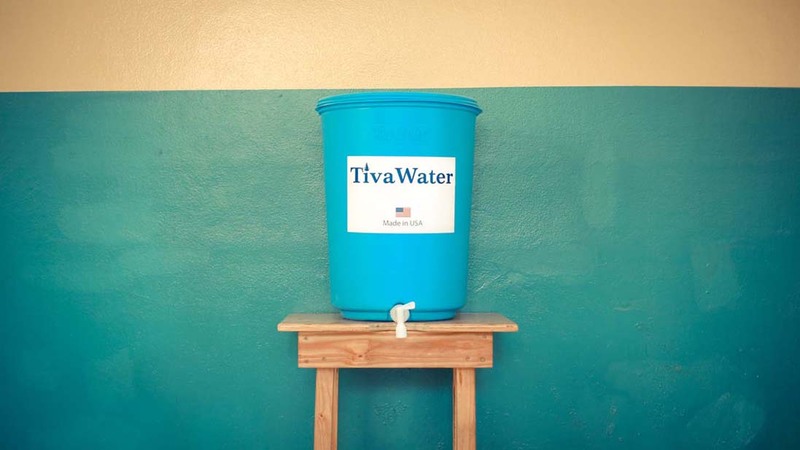 The TivaWater filter was developed because we understand that our water must be purified before we drink it. Our filter is designed to clean any water, whether from a tap at home or a pond in the village. 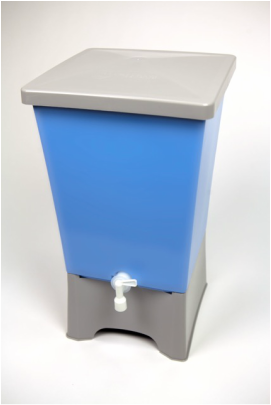 TivaWater has improved upon the highly effective slow sand filter technology to eliminate bacteria and viruses in water. The technology is approved by the World Health Organisation. It is being used in 66 countries and being constantly tested. There are many scientific papers that prove the effectiveness of a bio-sand filter. Our filter works because bacteria are much too large to squeeze between our 10 kg filter of tightly packed silica sand granules. The germs quickly become trapped and die while the much smaller water molecules easily flow down the filter. As shown here, bacteria is trapped in the tightly compacted micro-sand filter. Our filtering sand is sourced from a company that supplies sand to water treatment plants. 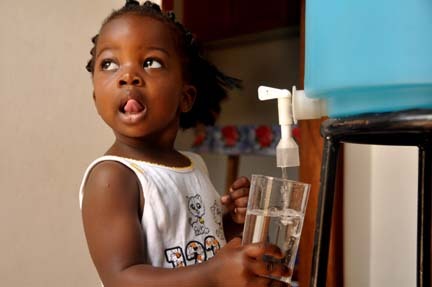 TivaWater filtration eliminates bacteria and prevents intestinal diseases like parasites, worms, diarrhea, typhoid, and cholera. 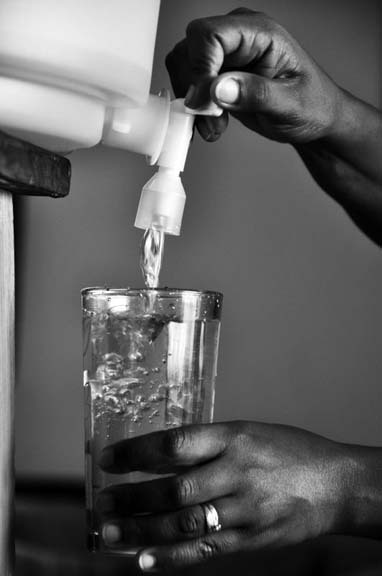 You can trust TivaWater because the technology has been used for many years, over 190,000 people in Uganda are now drinking this water daily, and the UNBS laboratory has certified the water too! Just pour dirty water in the top and let the filter work for you! 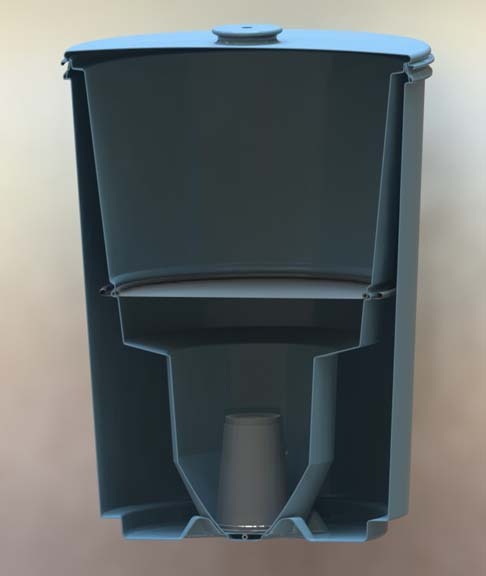 Dirty water is filtered through a 10 kg filter and then moved into the patented outer storage container that keeps clean water safe from contamination. Up to 20 liters of cool water on tap and ready use when you are thirsty.